Some moments are truly special, even when you don’t notice to appreciate them on the spot. Yes, the beauty is obvious and you try to make the most of the situation, yet you still end up feeling there was more on offer if you only had more time. 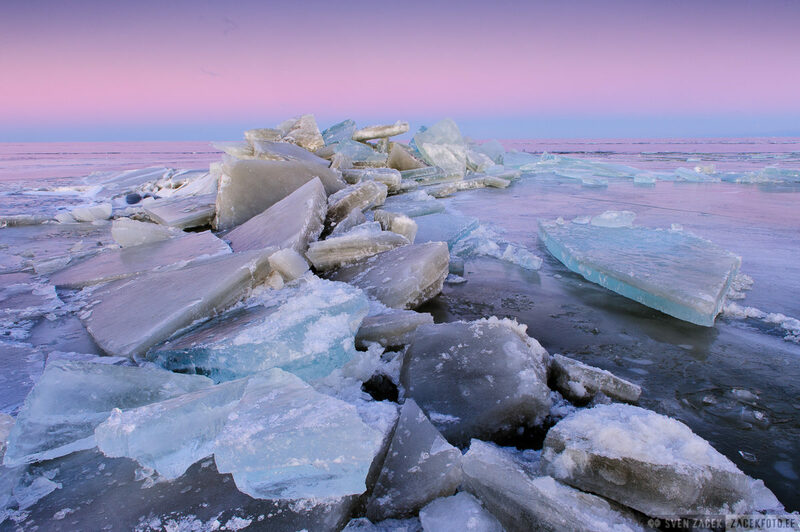 But there is never enough time, because the subtle colours of the sky fade away by the second even though there are many more hummock ice piles around worth exploring, but they are too far to reach them on tome. So, the only hope is to happen upon a similar sight in the future. Such hope has now travelled with me for ten years. During that time I had taken many photos of different hummock ice formations but I haven’t encountered such clear, colourful, you might say even arctic ice again.